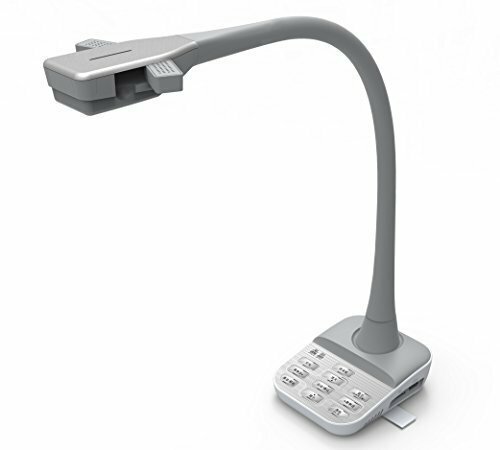 Captivate any classroom with the easy, affordable Epson DC-07 document camera. This portable performer makes it simple to capture and display documents, 3D objects or experiments. Featuring 1080p resolution and up to 8x digital zoom, it ensures vivid, detailed images. 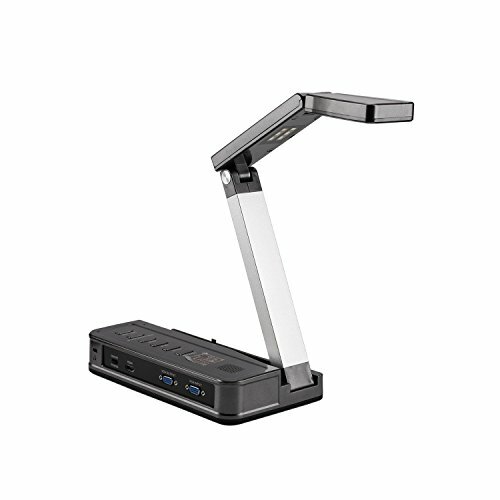 Use the USB connection and included software to easily connect to an Epson projector or a Windows or Mac computer. With one-touch auto focus, teachers can quickly focus on what s important. Plus, it features a built-in microphone for added versatility. Amazing clarity and detail - 1080p output resolution and up to 8x digital zoom; one-touch auto focus. 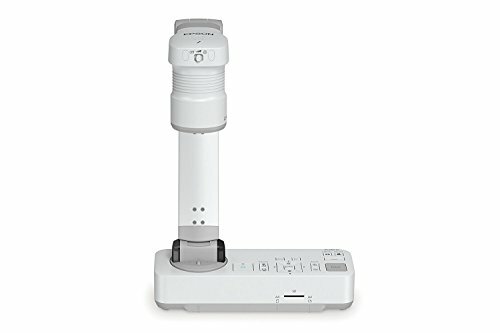 Flexible setup with USB connection - easily connect to an Epson projector or PC/Mac with included software. Record audio and video lessons - use the built-in microphone to add audio to video recordings. Ultra smooth video performance - 15 frames per second (fps). Convenient Freeze button - easily pause and/or resume the image. 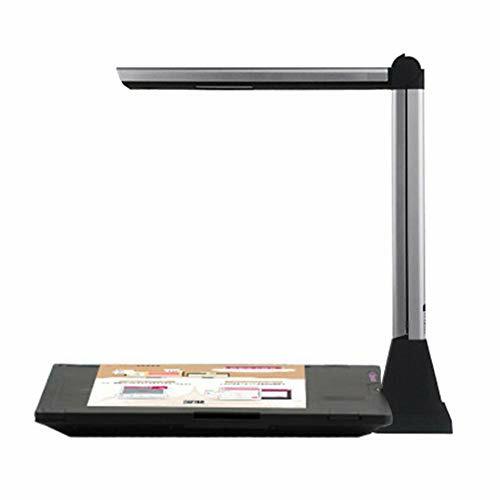 Add new life to any lesson with the high-performance Epson DC-13 document camera. This portable performer makes it easy to capture and display books and experiments with clarity, thanks to a large imaging sensor and 16x digital zoom. Hi-def lessons are simple, with HDMI digital connectivity and HD 1080p resolution. Share magnified images with the microscope adapter. Or, record audio with video using the built-in microphone. At 30 fps, video playback is seamless. And, there are convenient Freeze and Capture buttons. You can even save lessons on an SD card (1) or computer. 1. SD card not included. Not all SD cards are supported. Astounding clarity and remarkable detail - HD 1080p output resolution and 16x digital zoom. Versatile connectivity - HDMI digital connectivity for high-definition video. Share magnified images - microscope adapter included; supports many standard microscopes. Record and share audio/video lessons - built-in microphone and included software; one-touch A/V recording. Ultra smooth video performance - 30 frames per second (fps). 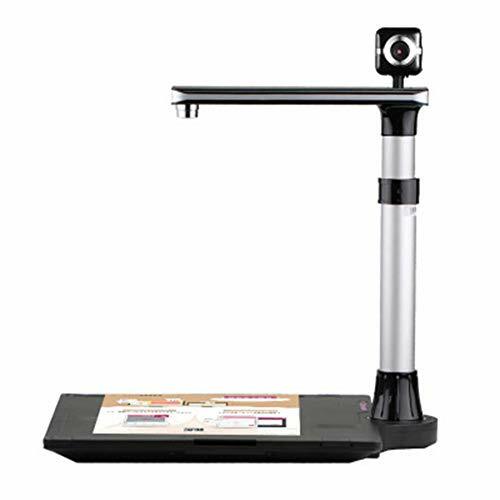 Engage students like never before with the Epson DC-21 document camera. 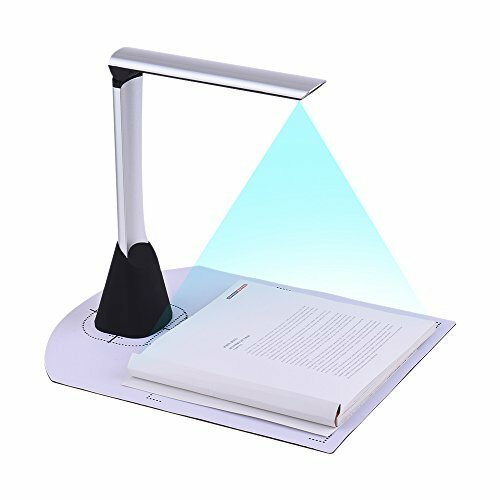 This portable performer easily captures and displays books, 3D objects and experiments with amazing clarity, thanks to HD 1080P resolution, a Large imaging sensor and HDMI connectivity. Share the finest detail with 12x optical Zoom and 10x digital Zoom. Or, display magnified images with the Microscope Adapter. Record audio with video using the built-in microphone. At 30 fps, video playback is Seamless. And, there are convenient freeze and capture buttons. Plus, you can save lessons to an SD card or computer. Go Beyond the Classroom. 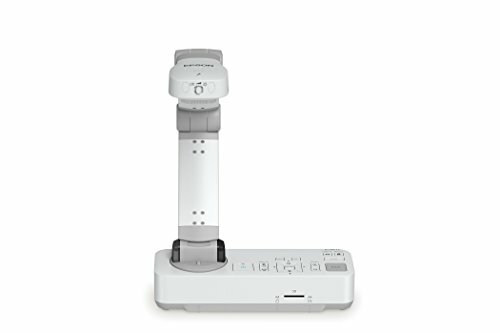 Create lessons on the go with the USB powered document camera anywhere, anytime. 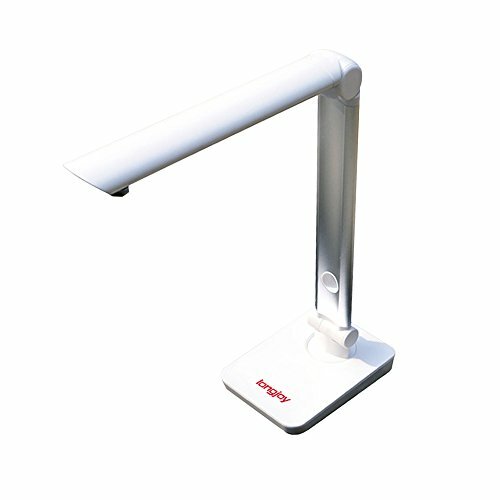 The U50 document camera displays vivid motion at 5MP with 8x Zoom. Take advantage of the built in LED lights, built in auto focus, and more features at a great price. Flexible Design: Flexibility. 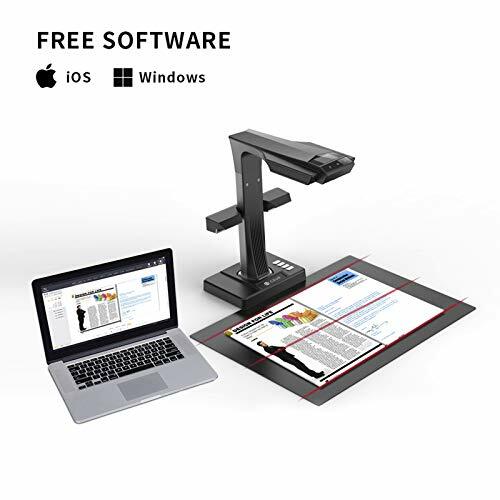 Featuring a simple and stylish design, making it the most flexible document camera. You can twist, fold and rotate the LV-1 in many different ways to obtain the perfect view you are looking for. 90 rotation camera head; the bottom part can be rotated 180 ; Any angel can be captured no blind spots. Captures docs, textbooks, devices, objects and more without taking up too much space. Ultra-compact portable design easily into your briefcase. ET16-P offers word-class performance for high digitization requirement organizations, designing for situations where efficiency and convenience are the top priority. Embrace one sleek and incredibly compact unit for all your document scanning needs: in color, black & white or greyscale at swift speeds and faultless quality. Applied the breakthrough technology- 2nd Gen Laser Curve-Flattening, ET16-P provides tremendous curve page flattening ability and ultra fast (1.5s/p) scanning speed. 1. 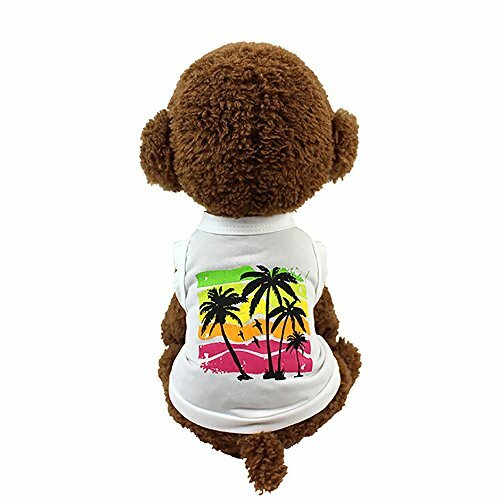 We sincerely devote to our product as well as providing better shopping experience for you. 2. We promise 90-day products exchange and money refund service for you. 3. If you have any questions,please feel free to contact with us and we'll provide satisfied service for you. 4. Thank you for your trust and support .Welcome to our store and give us your feeling and suggestion for us. Timing shooting and fast Copying Automatically scan after setting the shooting interval time, dramatically time-saving for scanning larger volumes of files and documents. OCR-- The Remarkable Recognition Technology Eloam Use a leading OCR technology. Recognize characters, tables, symbols; supported multiple languages and up to 98% of accuracy , directly save as Word/ Excel/ TXT/ files after OCR. Education Presentation With HDMI ,VGA Interface It can directly connect to projector, whiteboard or any display devices by VGA,and HDMI without computer. Image edit processing and make annotations The software owns strong image edit functions: image cutting, rotate, characters adding, adjust saturation, Contrast Radio and binarization. Also make any education annotations. PDF Conversion,Print,Fax,Email,Office Integration,Video Recording Images directly print by connecting to printer, send web fax and emails, achieve office all-in-one. Note: The document camera works with windows, and doesn't support mac. 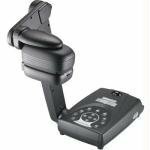 Brand: AVer Information Inc. | Manufacturer: AVer Information Inc.
With one CMOS image sensor, 5 megapixels and 2592 * 1944 resolution, giving you more clear scanning files.Adopts non-contact scanning technique and max. scan size is A4, which increasing types of documents or objects that can be scanned. Supports OCR function(can recognize different languages), which can convert image format into editable text format.Supports PDF creating function and combining multiple PDF files into one, ideal for E-Book making . 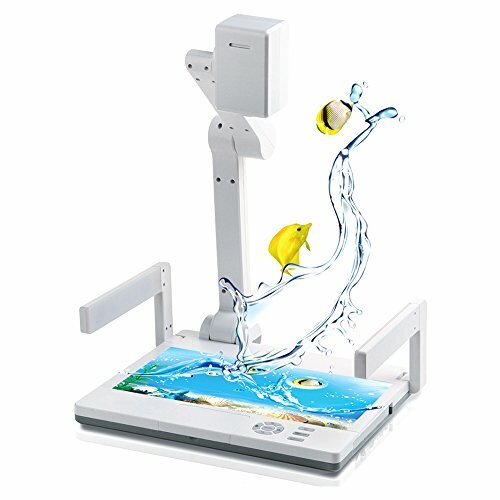 High speed scanning, just click the mouse, then you can get the picture in about 1 second, very efficient.Supports real-time image capturing and showing via the projector that connected to your computer, ideal for teaching show, product show,etc. After being captured, the images can be optimized by adjusting the brightness, saturation, contrast, sharpness, etc.Equipped with 4pcs LED lights for helping you to get clear image in dark environment, very considerate design. Aluminum alloy material with rubber padded base, durable and stable; foldable design, convenient to store and carry. Specially designed for using in office, classroom, library, bank, hospital, etc. Softare not support Mac OS. 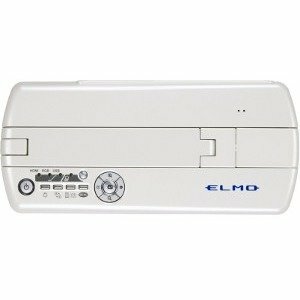 Elmo 1337-1 Model MO-1 Versatile Ultra Compact Visual Presenter, White, 1/3.2" 5Megapixel CMOS sensor, Effective pixels 2,048 (H) x 1,536 (V), 8x digital zoom, F2.9 lens Visual presenter MO-1 is a completely new concept mobile document camera designed for instructions and presentations anywhere in or out of the classroom or office. Smaller than a business envelope, the MO-1 is one of the highest quality imaging mobile presenters on the market. 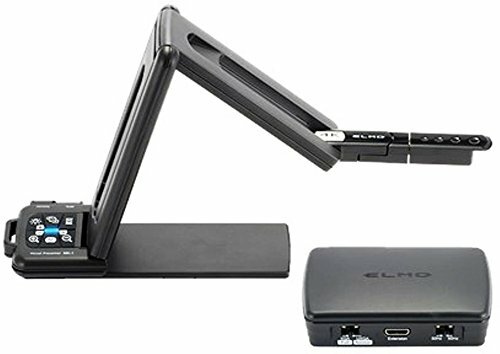 Elmo 1349 Model TT-12iD Interactive Document Camera, Powerful 96x Zoom and 3.4-Megapixel CMOS Image Sensor, Smooth Moving Images at 30 fps, Built-in Switcher, HDMI Input The ELMO TT-12iD is the next generation document camera in the popular TT-12 series of document cameras. 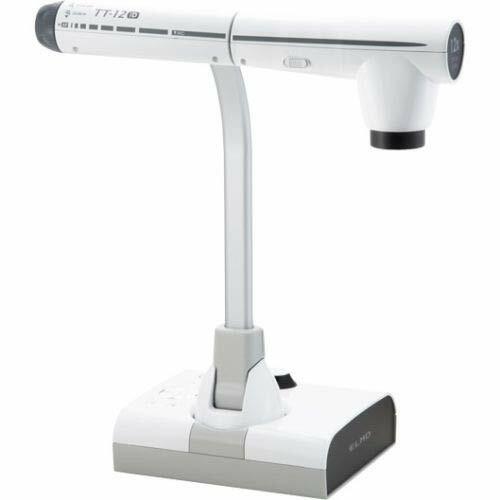 The TT-12iD is an all-inclusive document camera designed for teachers looking to incorporate 21st century classroom technology to create dynamic lessons that enhance learning, interaction, creativity and academic performance of students. The TT-12iD is now equipped with HDMI input and a BRAND NEW sleek remote control. 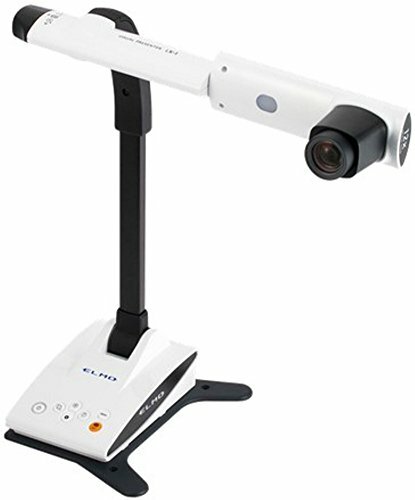 Elmo 1353 Model LX-1 Visual Presenter, 96x zoom capability, HDMI output and a specially crafted lens for full HD image quality, Captures moving images at 30fps for truly smooth natural movements Capture your student's mind in the world of visual learning. The new LX-1 Visual Presenter offers the largest optical zoom lens of any camera in its class while the full HD camera captures crisp, clear detail on the smallest of objects. 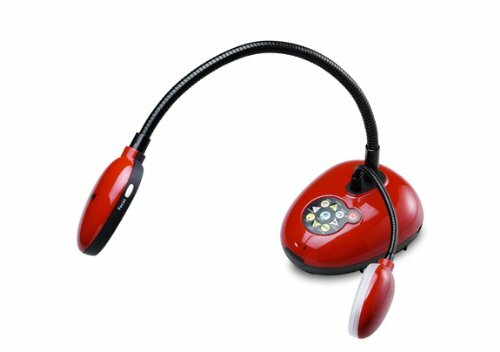 The easy to use LX-1 makes the perfect addition to any classroom. Supported Operating Systems: Microsoft Windows XP,Vista, win7,win8,win10 system . Software not support Mac OS. Note: If your PC does not have the CD-rom or the CD can't read, pls copy and install the software from the SD card. 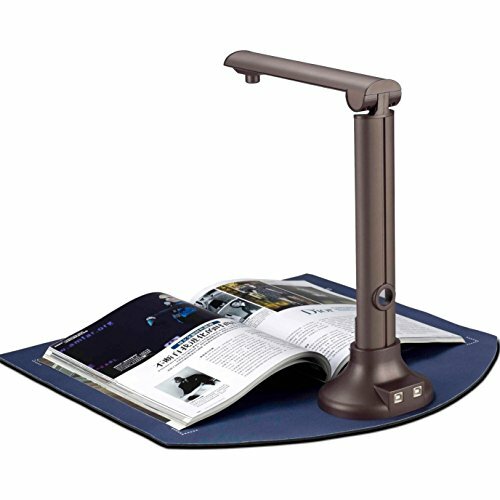 Document camera features a high definition image sensor,ensuring high-quality and clear images in any light. Students can see the finest details with 10x digital zoom. It also features 30 frames-per-second video (at HD 1080p resolution) to display your lessons with smooth performance and minimal delay. 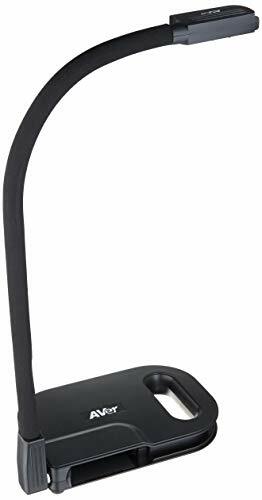 Record classroom lessons with this document camera and built-in microphone. With innovative teaching tools, advanced connectivity, and durable design, this item is an ideal fit in any classroom. 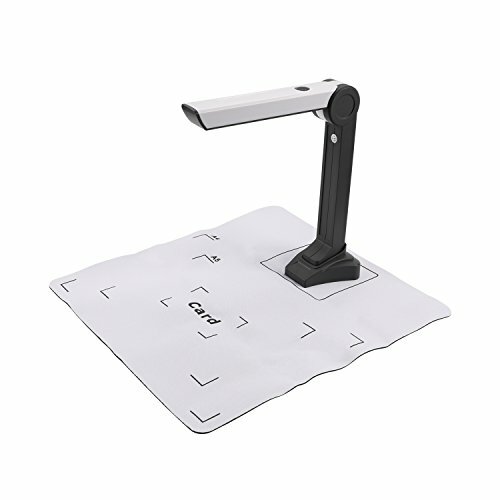 DINGYI is a famous brand in the field of the Document Camera Scanner, also has a good reputation. 1. We are sincere and devoted to our product as well as providing better shopping experience for you. 2. We promise 90-day products exchange and money back service for you. 3. If you have any questions,please feel free to contact with us and we'll provide better and better service for you. OCR Words Recognition Technology Eloam use a leading OCR technology. Recognize characters, tables, symbols; supported multiple languages and up to 98% of recognize rate, directly save as Word/ Excel/ TXT/ files after OCR. High Speed Scan Automatically scan after setting the shooting interval time, dramatically time-saving for scanning larger volumes of files and documents. 3D Real Objects Scanning within A4 Size Being able to scan documents, data, bills, certificates, books, 3D real objects etc. It can max scan A4 size. 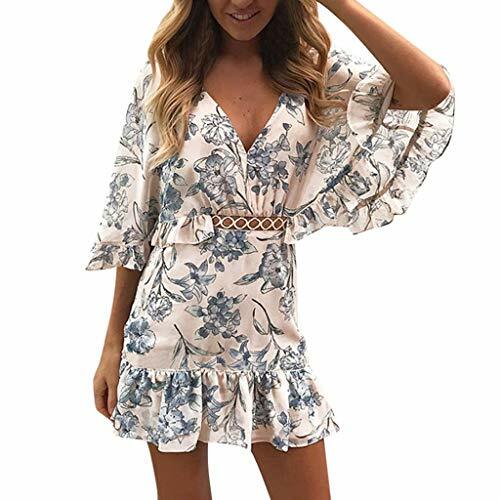 Image edit processing The software owns strong image edit functions: image cutting, rotate, characters adding, adjust saturation, Contrast Radio and binarization. Simplified Office Procedure Print, fax, email, Office integration Images directly print by connecting to printer, send web fax and emails, achieve office all-in-one. Note: The document camera works with windows, and doesn't support mac. Supported Operating Systems: (NOT compatible with Mac) win XP/Vista/win7/win8/win10 system ; Light compensation: Built-in LED light; High brightness.Picture format: JPG,GIF,PDF,BMP,TIF;It's able to capture and display up to size A3,A4;If you've already installed the software, but the device is still not working,or your computer doesn't have CD drive, please go to our Longjoytech website http://www.longjoytech.com/cplb_01.html to download the updated software and user manual. The All-way stretch leggings move with you and never go sheer. The basics comfy and cute, printed spandex leggings! Elastic waistband leads to stretchy tapered legs to make the ultimate layering essential. Get smooth and secure coverage from natural waist to ankle comfortable seamless leggings. Ultra lightweight performance designed Leggings perfect for yoga, dance, jogging, everyday wear, and so much more! Real-time projection of recorded video, with built-in video recording function, real-time capture of physical projection and projection. OCR recognition technology, one second fast scanning, efficient office. 10 million high-definition lens, 2 million pixels of the sub-camera, plus 5 LED headlights fill light, you can easily shoot HD real objects. Timed shooting, fast remake, continuous scanning. Image editing processing, which can perform saturation adjustment, cropping, etc. on scanned images. SHIPPING: Same Day Shipping ! Except weekends and Holidays! INDUSTRY QUALITY:100% Brand New Cables Are Tested BY Manufacture With High Quality ! COMPATIBILITY: 100% fitting ,it will work perfectly with your device ! Please Double Check the Connector End and Machine Model Before Bid! 100% Quality Warranty: Your satisfaction is our first priority, we take care of all quality-related issues with a REPLACEMENT OR FULL REFUND; If you encounter any problem while using, please never hesitate to send email to us and we will make it all right for you.